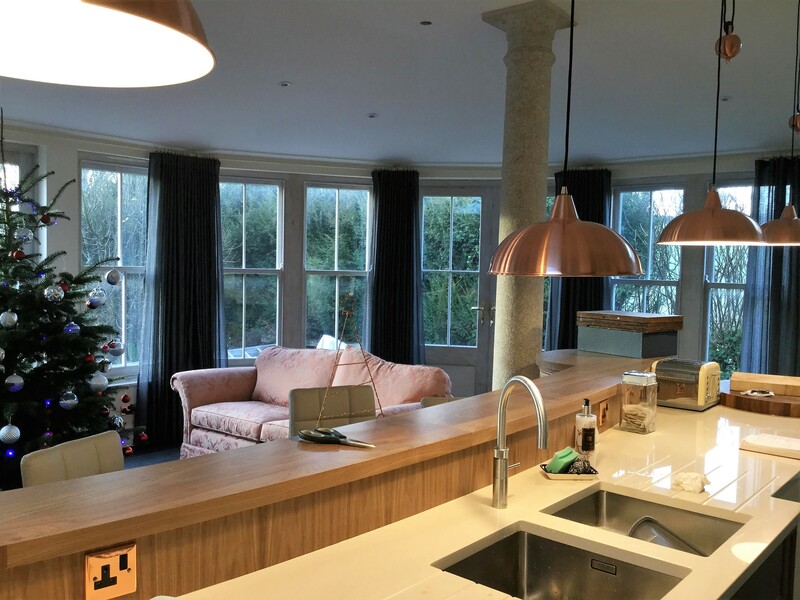 The original building was a late–nineteenth century farm house in south east Cornwall. 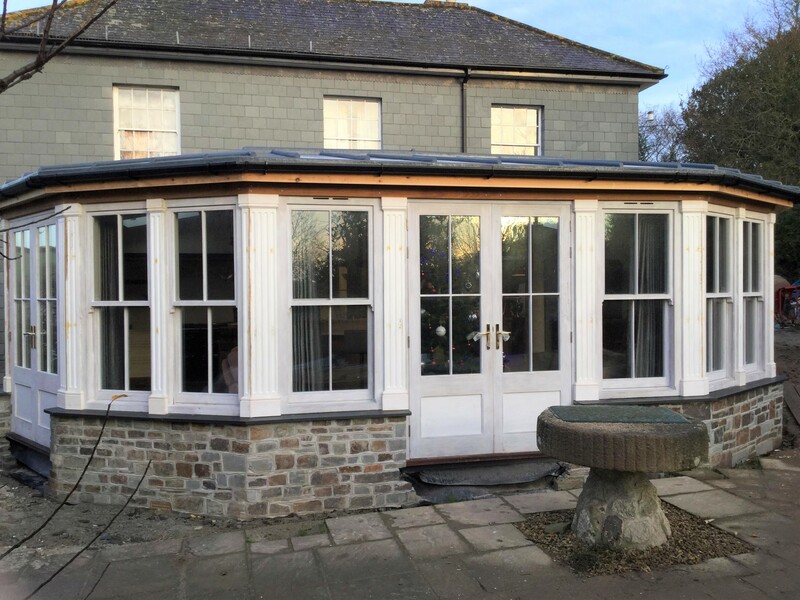 Planning Permission had been granted for a large kitchen extension to the rear, to replace a conservatory that was coming to the end of its life. We were instructed to prepare full Building Regulations drawings and details for the proposals, which included the design of some large spanning steel frames, in order to maintain a fully open plan room, with large sections of glazing around the perimeter.